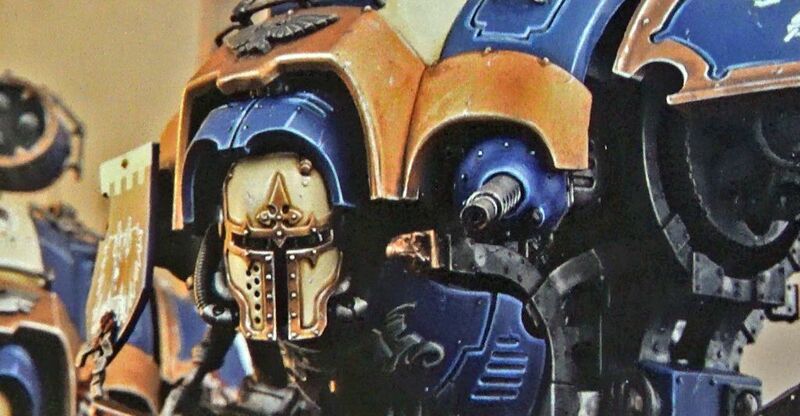 Start your plasma reactors: Today’s first look unboxing of the new Imperial Knight Renegade box set has something for every 40K player! The new Knight game is here, and along with it another great “bundle deal” from Games workshop. Inside you get one Knight Warden and one Paladin plus a set of the ruins to use for the game as well. 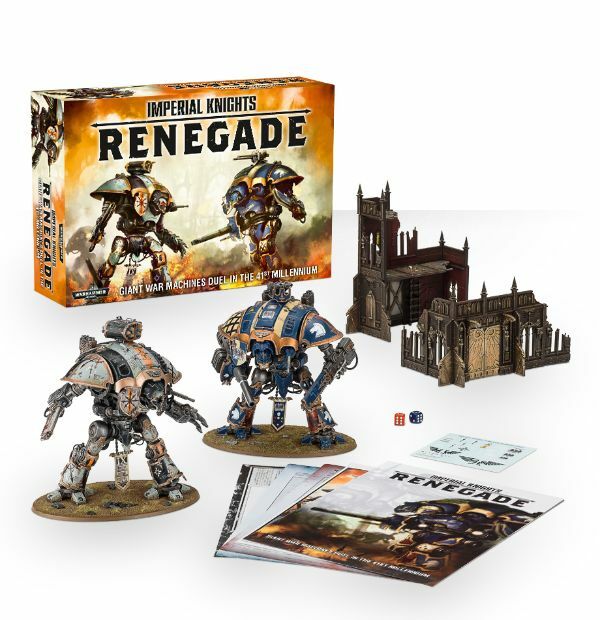 Over all you save about 40% off normal MSRP with this bundle, and you get a new datasheet for the Renegade Knight and as their detachment rules as well! 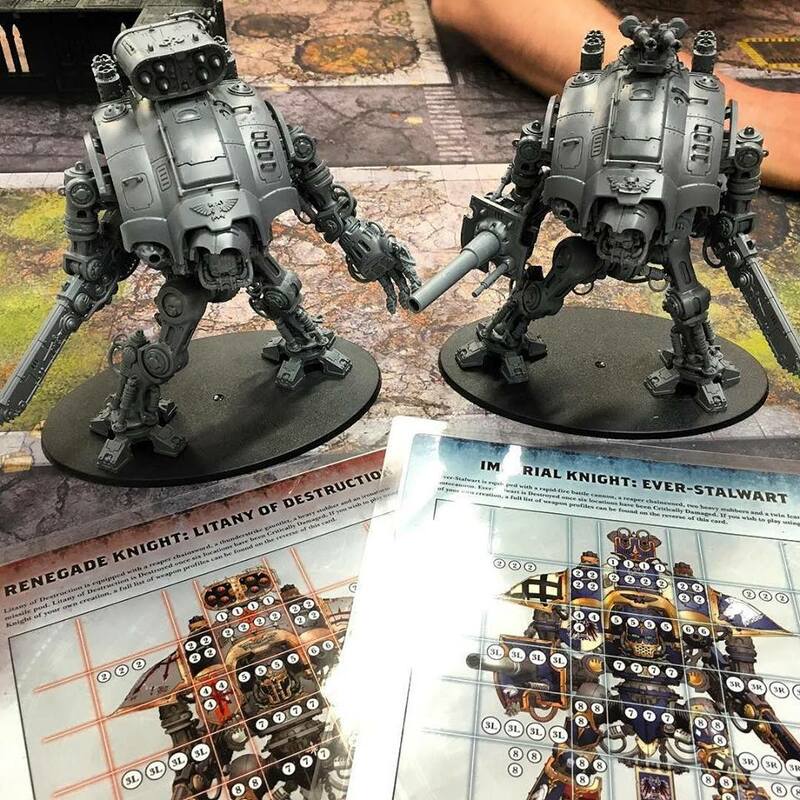 If you’ve been on the fence about picking up some Knight models, it may too hard to resist this deal for sure! Rock’em sock’em mech warriors are here! Laminate these cards for re-use! Inside, you’ll find two Imperial Knight miniatures (one Warden and one Paladin), with a transfer sheet to detail them as Imperial and Renegade Knights, a Basilica Administratum scenery piece for your Knights to engage in fierce combat over, and an eight-page booklet containing rules and missions for the game, and rules for deploying the Renegade Knight in games of Warhammer 40,000! The game plays pretty cool too, but I think they may need to make a quickstart guide too because its a several game learning curve on how it works I feel like. Also if you lose your “head” location you may want to make a house rule that the 2 action limit goes into effect on the next turn as the wording is a little confusing on that. Another great offering from Games Workshop for sure. I can’t wait to see what games they bring to the table when their Specialist department is fully operational!